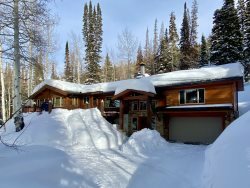 At The Cottonwood Lodging Company, we appreciate that we all lead a busy life – your vacation home is the last thing you want to worry about but it is a VERY important investment. Let us worry about it - its our specialty. That’s why we offer an entire range of vacation property services that allow you to customize the perfect package to meet your specific needs. Our Vacation Property Management team is here to help you manage your investment while allowing you to enjoy more of life … with the flexibility you prefer at the price you can afford. The Cottonwood Lodging Company is a full-service property management solution for your rental property investment. With our dedicated local team, dynamic website, reservation/channel managing software and area expertise, we take care of homeowners, their homes and their guests to make the most of their vacation rental property. We use industry-leading rate optimization software that utilizes pricing algorithms to determine the best rates to assure maximum returns for our homeowners … but we also actively involve and encourage input from our owners to set the rates JUST how they would like them as well. We work as a close team to get the most profit out of YOUR home while not renting it for less than you feel it is worth. Our website is fully integrated with AirBNB, VRBO and 120 other sites allowing guests from all over the world to book 24/7. Each property page features high-quality photography, professional copywriting with detailed descriptions, reviews from past guests and useful information to help turn an inquiry into a booking instantly. Reservationists are available via online chat, email, phone or text 24/7. The Cottonwood Lodging Company is known for its local, dedicated staff and attention to guest and owner needs. Our local team of managers, guest hosts, housekeepers, shovelers, and maintenance crews are all actively dedicating individual time to owners and guests, caring for your home like it's their own and your guests like family. We offer 24/7 guest and owner support - many of our staff were hand picked for their background in guest relations, accounting/bookkeeping, general contracting and hotel management. We’re with you every step of the way, from branding your property to filing your income taxes and all the times in between. Ensure premium representation of your home in the vacation rental marketplace through a variety of productive rental channels and marketing partners (LiveREZ and Nextpax). Online owner portal with reservation reports and monthly calendars with owner ability to block dates. Responsibility for day-to-day operations of home. Facilitate local and federal tax information and payments. Browse Cottonwood Lodging properties here.